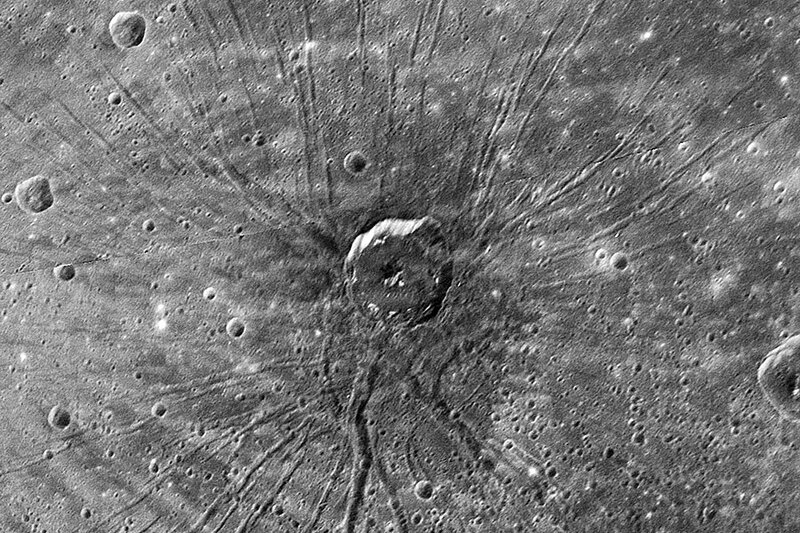 Explanation: Why does this crater on Mercury look like a spider? When the robotic MESSENGER spacecraft glided by the planet Mercury last month, it was able to image portions of the Sun's closest planet that had never been seen before. When imaging the center of Mercury's extremely large Caloris Basin, MESSENGER found a crater, pictured above, with a set of unusual rays emanating out from its center. 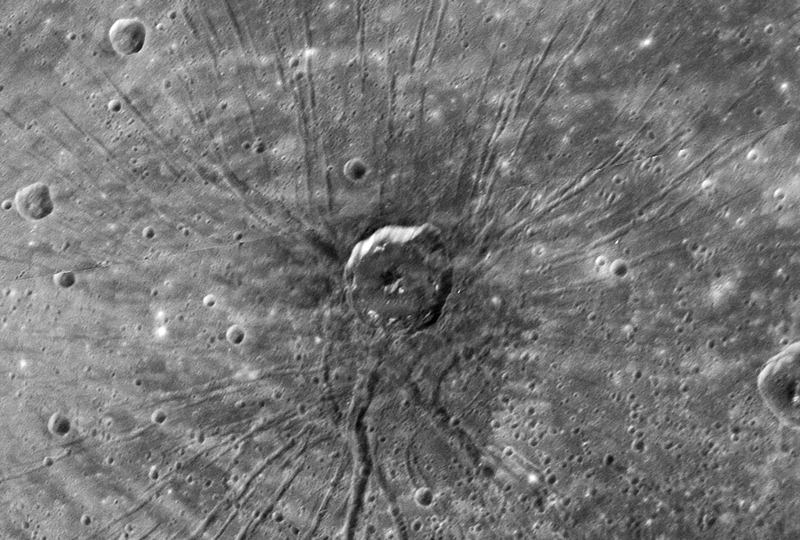 A crater with such troughs has never been seen before anywhere in our Solar System. What isn't clear is the relation of the crater to the radial troughs. Perhaps the crater created the radial rays, or perhaps the two features appear only by a chance superposition -- the topic is sure to be one of future research. MESSENGER is scheduled to fly past Mercury twice more before firing its thrusters to enter orbit in 2011.